One of our favorite things to do as a family with the Casa Juliana kids is to spend time outdoors.We love to take the kids to the woods as often as possible, even if it’s just the little hill not to far from our house. Spending time outside is a great bonding activity for all of us and seems to be therapeutic for the kids in many ways. Being in nature and spending time enjoying God’s creation helps us to realize how much beauty exists around us and to find peace amongst the chaos of day-to-day life. 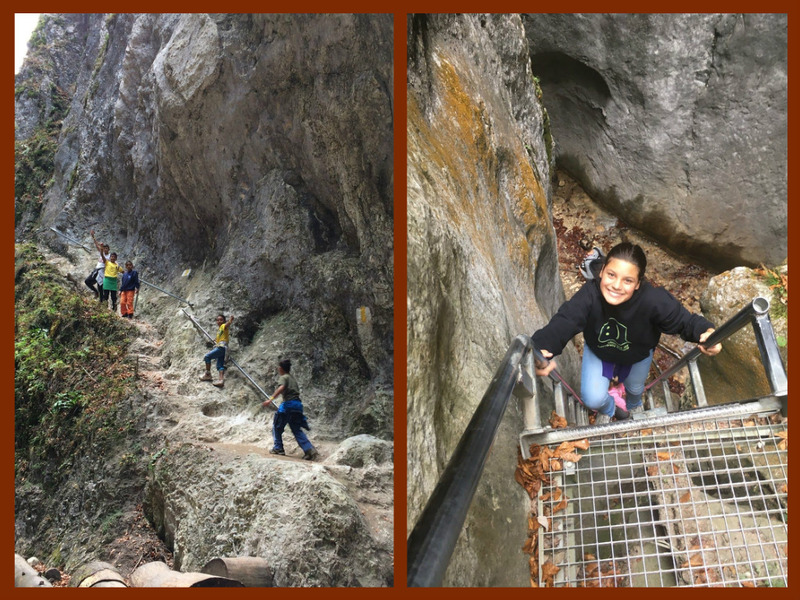 Our most recent adventure was a hike through “The Seven Ladders.” It’s a beautiful path through the foothills of Romania’s mountains that leads through a gorge where you have to climb seven ladders (hence, the name of the trail). It was beautiful this time of year, with the leaves changing colors. 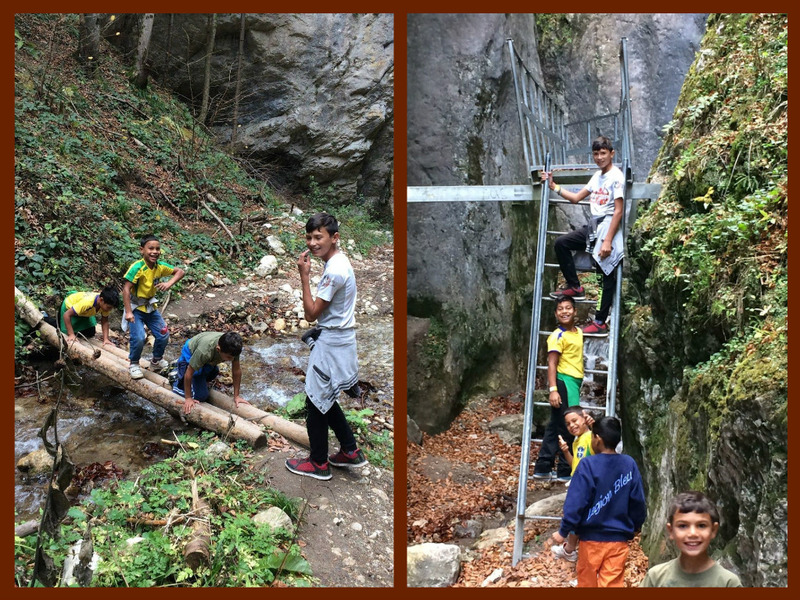 While it’s not a particularly challenging hike, some of the ladders are quite tall and it was scary for some of the kids. However, we were proud of them that all six kids made it up all seven ladders, despite their fears. We were proud of them for pushing themselves and being brave. Hopefully these types of physical experiences will also encourage them to be brave emotionally, to be able face their hard pasts and become stronger because of it. We hope these times out in creation helps to remind them of the Creator, and to remember that he is our source of comfort and strength no matter what trials we face.